MIT Demo Days in Review: Whirlwind through Boston, NYC, and San Francisco! What an exciting few weeks it has been! 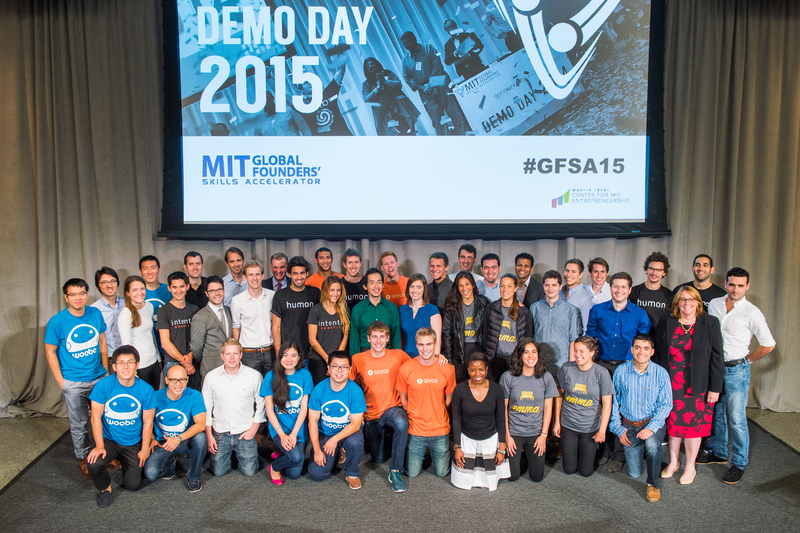 Starting at the MIT campus on September 12, MIT’s Global Founders’ Skill Accelerator (GFSA) has recently completed outstanding presentations to over 1,200 attendees at Demo Days in Boston, New York City, and San Francisco. Fourteen teams started with the accelerator at the beginning of summer – my first summer as GFSA program director and Entrepreneur in Residence. Twelve teams made it through the summer boot camp, yet the experiences of the two that didn’t make it to Demo Day are as important as the 12 that did. The lessons of leadership and commitment – along with knowing when to pull a plug on a business or pivot when the business doesn’t align with your goals – are key lessons for entrepreneurs. The teams that came into the boot camp were students as undergraduates, Masters students, and Ph.D. students. Many graduated from MIT in June after the Accelerator program started, savoring their accomplishments for just a day or two before jumping back into the demands of an educational accelerator boot camp. Directing this program for the first time, I observed a very ambitious group that was also very aligned with the MIT community culture, which supports the teams through its educational process and ecosystem. The boot camp curriculum was mixed with faculty from MIT and community practitioners that offered the students the fundamentals and the application of concepts that are key to building a company, understanding your customer, creating a product customers will purchase, having a team that is committed and understands the vision, as well as understanding business and investment fundamentals. The boot camp puts a heavy emphasis on learning about the motivations and needs of every participant in the value chain you want to enter. The focus on the customer and primary market research for many of the teams was a challenge. I came into the program with the belief that MIT students can solve any technical problem and that was validated. However, I did see many students challenged when it came to listening to customers, iterating on their product based upon that feedback, and communicating to investors, other students and the community about their company. Can the MIT accelerator experience be replicated? I am sure it can, but MIT is helped immensely by its culture and its ecosystem. The MIT culture one of creativity, supported by an ecosystem that puts an instructional focus on user-focused business and product design. It is a culture that supports entrepreneurial activities at every stage of the journey. Here are the 12 outstanding startups that presented on Demo Day. If you are interested in learning more, their website or contact information is included. At this stage, many of the companies are actively looking for advisors, are hiring and several will be fundraising. You can also view the video of the entire Boston Demo Day event here. Again, all the best to the spectacular start-ups that worked so hard this summer! September 12 is Demo Day at MIT! It’s like the first day of school jitters magnified a thousand times … MIT’s Demo Day is coming September 12th! 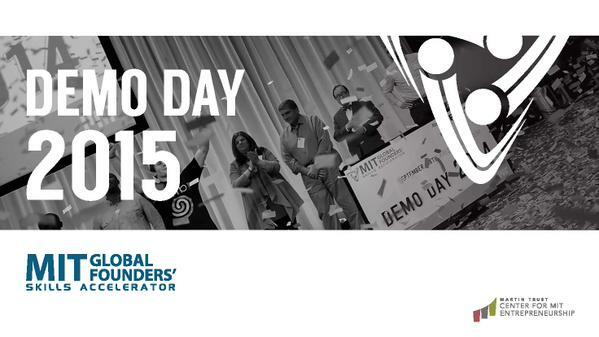 Demo Day is an event put on by the MIT Global Founders’ Skills Accelerator (MIT GFSA) and will showcase passionate and talented entrepreneurs at MIT and their innovative, potentially world-changing, companies. On Demo Day, each of the groups that have been working in the accelerator will present their company to a live audience. As an Entrepreneur in Residence at MIT, this is my first time guiding students through the process, and we’ve certainly had an exciting summer. Some of the challenges the teams faced were moving from a concept to a real plan for a product or service, defining their beachhead market, determining costs and pricing, and figuring out how to clearly and succinctly present their ideas to the board. We can’t reveal the companies or their concepts until September 12th, but innovative ideas will be presented by 14 fantastic teams – with inspirations that cover everything from fitness to farming to fertilization. To whet your appetite, here’s a recap of inspiring startups from last year’s Demo Day. This event is open to the public! Last year, over a thousand people gathered to see the latest innovative companies presented. Join us in the heart of MIT under the dome in 10-250. (Overflow space will be available where the presentations will be live streamed.) Demo Day is free; but, you do need to register in advance. Come and encourage our next generation of entrepreneurs in Boston! You can also watch the live stream from your computers. And, after the Boston event, we’re on to New York and San Francisco … I’ll keep you posted!